This is for all the musicians, designers, writers and social media queens! The past belongs to those that mastered math. The future belongs to the CREATIVES! We can access and build an online audience to make our niche services viable and profitable. All at the click of a button! I chat with Shotgun Tori, South Africa’s Queen of Folk. We discuss the charm of following our passions at all costs and the ability evolve your talents to create money. Sing it, sister! Tori’s childhood love for music and her decision to follow her passion at all cost. Fighting off the naysayers and the concept of financial stability. Receiving constant validation that her path is the right thing to do. Exploring multiple avenues to make money. The conviction to make difficult life choices to follow your passion. The ability to take advantage of crowdfunding and free online media sources. Technology is changing the way we make money in music. The accessibility and freedom to build your niche online audience to make your live shows profitable. Understanding and overcoming the “Imposter Syndrome”- feel the fear and do it anyway! Use your talents to connect and serve people. The fitness to overcome life hurdles. Tori now understands her purpose and value proposition by completing Lisa’s 30-day side hustle challenge. Check out Tori’s website and Facebook page. If you enjoyed this podcast, you will enjoy imposter to influencer, future females and turning your superpower into money. Lisa Linfield: 00:09 Hello everybody. And welcome to today’s episode of Working Women’s Wealth. I am joined by South Africa’s queen of folk, singer, songwriter and amazing human being Shotgun Tori. Welcome. Lisa Linfield: 00:39 Music is your passion and all of us grow up singing songs, being in little music things in school. How did you get into folk music? Shotgun Tori: 00:50 I started playing guitar because my sister was and I thought it was super cool and she used to play in the church group and there was a very handsome guy who lead the church choir. And so I started taking lessons with his mom and she used to teach folk music. That was the style. And so I just learnt it and my mom and dad used to have those CDs and so it was familiar and easy to pick up and it just made sense at the time. Lisa Linfield: 01:19 And how has your career grown over the last couple of years? Shotgun Tori: 01:23 Okay. When I was 17 I had these dreams that I was going to be a huge, huge star. And I went to the UK and I was not a star and I don’t think I was very good at the time either. And at some point I gave up and I said, “There’s nothing in it for me.” And I started studying and went on to do other things and got back to South Africa. And a friend of mine suggested I went to an open mic when she found out I used to sing and I started playing in bands again and doing it gently, kind of on the side. And then in 2010 I got sick and I got hepatitis A. And at the time I didn’t know what I had, but I was terribly, terribly ill and the doctor had seen me for a bunch of blood tests and he was worried, which made me very worried. And so I went home and I was very weepy about it and I got into bed because I could hardly move and I knew that I was going to die and I was suddenly overwhelmed by this feeling that I had never toured the world making music. That was the reason that I was born and I didn’t know before that point. And it was like this lucid moment, just one absolutely lucid moment that, that was the whole point. And that was in the December and by February I was touring and it was like things were thrown into my path. This amazing, amazing, amazing things and these amazing people who helped along the way. And it was like that started this journey and it’s just gone from strength to strength. It’s been road signs along the way that this is exactly the right path. [inaudible 00:02:58] crowd funded an album and we’ve just crowdfunded for this new album that we are launching and I’ve done some really wonderful, exciting tours and met some amazing people and I think made some good music that I feel gets better all the time. Lisa Linfield: 03:17 What’s kept you on this path? Often in life, one has these perfectly intact moments of clarity and elusiveness, but people give up on that dream as the reality of life kicks in. What’s kept you going? Shotgun Tori: 03:31 I think the music, firstly, I feel like if I didn’t do it, I would be half a someone. And it’s not just the music, it’s the writing. If I don’t play, I become sad and hard to live with. And what happens is that in the songwriting and processing, everything that’s happening to me on a daily basis, life is tough for everybody. And I deal with my struggles through writing and somehow I know what I’m up against when it’s down on paper and it comes from somewhere that’s beyond me and it comes out of me and the singing of it. It’s so therapeutic and then I’m fine. And then when I perform, it’s the same thing all over again. It feels like this is energy that comes through the earth and it’s amazing. And Yeah, I think I’m given constant validation that it’s the right thing. But also there’s plenty of people along the way who say you can’t really make a living doing that and you’re sacrificing all kinds of things to do it. And it’s just a hobby. There’s lots of naysayers. You’re faced with that constantly. It’s tough to stay the course. Lisa Linfield: 04:44 And how do you deal with those naysayers? Shotgun Tori: 04:48 Put it this way, my brother brought it up this morning and he’s very practical my brother, and he said, “Think about it this way. If you are planning a big tour and it’s going to cost you 150,000 rand wouldn’t you rather put that money towards house of your own or your children’s education? How do you make that decision that your music career is going to get that or not?” Your children’s education, that’s a fair point. It made me think hard about it and I’m still thinking about it because those are big things, you don’t want to sacrifice your children’s education for. I mean these are the things. Lisa Linfield: 05:29 It is a really difficult thing financially because these careers of singers, we look at the pop stars and it all looks fine, thank you very much. But for 99% of musicians it is a difficult financial burden that [inaudible 00:05:49]. How have you dealt with it? Shotgun Tori: 05:52 I have a day job, I suppose, which is not a traditional day job. I’m a video editor. And so that’s what brings in the money. The music absolutely does not bring in the money. We get paid for shows, but it covers costs. Put it this way. A friend of mine, he’s from the states and he’s in his sixties now and he said when he started making music in the states, he’s a drummer. He used to earn $50 for a show. The $50 was what his dad paid on rent every month. He says now he’s still earning $50 for a show. And rent is so much more than $50, everything else has gone up and every salary has gone up. But for musicians, they’re earning the same thing that they were earning in the 50s and that is crazy. And I suppose it makes you wonder if the art valued, but at the same time people don’t have money to burn on something they see as a leisure thing, going to see a band play, paying for music. It feels like leisure. And I suppose you don’t think about the artists behind who are also paying rent and paying school fees and all that stuff. I feel like everybody’s having to find a side hustle or the day job and music has to be the side hustle. The working musicians I know who have chosen just music work incredibly hard and don’t send their kids to private school. Some live off the grid. They’re having to make different kinds of life choices, I suppose anybody, you have to cut your cloth accordingly or you have to get another job as well. Lisa Linfield: 07:38 Now all industries are changing so much because of technology. 20 years ago as a musician, they were only two ways to earn, either you got onto the radio or you played live or sold albums and that was the only three sources of income. These days the world is changing significantly. And I always say, I think the past belonged to the people who could do [mass 00:08:02] and the future belongs to the creators. Every second person is a blogger, podcaster, has video youtube, has this, that and the next thing. And so the opportunity to create income is completely different. And in the past it was only if you were physically made known by a radio or an advert or show that people would know about you. Whereas now someone in Russia can know about you and you’ve never been there or promoted yourself there. How do you see this change in the way everybody has access to the world? How do you see it impacting your career and your opportunities as a musician? Shotgun Tori: 08:45 Sure. I mean definitely the world has opened. The music that I make is so niche. And so I think that in order to make any money in music, I’m going to have to go the online route. There’s a small market here in South Africa. My guess and I could be very wrong ’cause is really as a guest, that there are 300 people in Johannesburg who listen to this genre of music. If I judge by the people who come to shows, not by Facebook likes, by the people who actually physically come out to shows, I would say there are 300 people who support our genre of music. You cant make a living off 300 people. I think we’re going to have to go online and it’s just about figuring out how to make it happen, which I suppose we are doing. I did your course and I’m working my way through it and trying to get to grips with how I’m going to do that. I mean there are so many ways to make money in music now online, whether it’s writing songs, I mean I wonder if for like Fiverr and all of those sites that pay a thing. I wonder if there’s a category for musicians, for songs like people looking, and you can earn little bit here, a little bit there. I think you are right, there are definitely ways, you got to think out the box. I mean Terra Naomi, she is a youtube star I guess so she has made a name for herself doing videos on youtube of live performances. She’s from the states and she was out here a few years back doing some shows here. But that’s a way, you can build your audience via YouTube and then earn from advertising. But you’ve got to put the time in, and the work in to do it and yeah, it’s about deciding on a path of how you’re going to, as you say, there were those ways to make money in the old days and there are still some of those ways, people don’t really buy albums anymore so that way it’s kind of fizzling out. And even though you have your music online now on iTunes and Amazon, people can stream it for free on Spotify or Deezer and you get the tiny percentage, I think it’s something like 0.000001 dollar every time someone streams one of your songs, something like that. There are something, but you’ve got to have a big following, which if you were to rely on just a South African market or a local market, you’re not going to hit. I mean people can listen, streaming music all night, put her on stream and go to sleep. In fact, do that. My fellow musicians would appreciate that if you did it and they would earn something, but it’s still would never be enough. But interestingly enough, and this is another thing we talk about, crowdfunding is one way to make things online. People are being incredibly creative. There’s something called Patreon. I don’t do it. I have my own stuff that I’m dealing with around crowdfunding, having done it and had success and really appreciated the experiences of it. Patreon people essentially pledge an amount per month, and you as an artist pledge to create something every month for that contribution and the different tiers. And depending on the different tiers and how much you create, you can make an actual living. And I know musicians who are earning properly. There’s friends of mine who are earning $1,500 a month from this Patreon. People who are literally saying, “Okay, cool. I don’t have to do anything else but create because these patrons of the arts are paying me to do it.” And it’s a little bit from here and a little bit from there, but it takes a real belief in yourself. No imposter syndrome at all to do something like that to say, “I feel that I am of value enough that somebody contributing to me is worth it.” It’s worth it for you to put some money towards what I’m creating this art, and I think that, that’s a real psychological block for some of us. Lisa Linfield: 12:40 One of the great things about interviewing so many different amazing women from so many different amazing professions, backgrounds, et Cetera, is that, imposter syndrome is experienced by every single human being is my view in the world. I think you’ve got to be abnormal not to have imposter syndrome. When I started my financial advice business, I had been unbelievably successful in corporate, but the minute I stood by myself and it was just me. No big brand name behind me, no nothing, suddenly I cracked in my boots and I kept thinking to myself, “Oh my goodness, gracious name.” Like who am I to launch a podcast? Whose willing to listen to me? And I’m reading a book at the moment called feel the fear and do it anyway and it absolutely goes to one of my biggest things, when it comes down to anything be it money, be it your career, be it success, be it relationships, be it anything. It comes down to one thing, is that the battle is in your head and nobody else’s and the battle in life is not out there. It’s around actually just being able to say, “Who am I not to be?” Marianne Williamson, who wrote the poem that Nelson Mandela read at his inauguration whole thing is who are you not to be? You are created by God with this talent to serve people, by creating amazing music that helps them connect to their soul. And by not doing your stuff, you’re depriving the people of that connection, that amazing connection that somehow music makes us feel where I can get into my little car and zoom off and I can either feel like a rockstar and I can conquer the world and ride on mountains or crumble into a heap. And I think it’s one of the big challenges. I think women suffered more than men, but I think it’s one of the big challenges out there is that there is so much we were created to do that we don’t do because we are bound by our own fears, we are bound by that whole imposter syndrome and the reality of it is that each time you do something that takes you over the hurdle of a fear, it’s unfitness. Now suddenly you can stretch further stretch further and you never going to be in a phase where there isn’t more that you can stretch into. I mean you can do a super 500 kilometer run and they still go 700 and 800 or thousand in front of you. The world is limitless. How have you worked with that imposter syndrome to drive your career forward? You’re launching an album today. You’ve just come off a fantastic show, two months of touring. How have you put aside those fears to take these steps? Because it takes a lot of guts and courage to put on a show, to get the funding to show as an artist and to go out and do card running and get your album produced. Shotgun Tori: 15:44 Oh Gosh. It’s been very much one foot in front of the other and then the quiet validation that comes from doing it. The ideas come and I believe I can do anything in a moment and obviously the fears are there along this and I suppose what also happens is the more people say to me, “Oh, that’s a bad idea.” The more I think, “Huh I’m going to show you. That’s not a bad idea. That’s my idea. I’m totally going to do that.” I’m like, “Okay, we’re going to make a music video by tomorrow.” And everyone’s like, “That is impossible.” I’m like, “You said it’s impossible. Well, I am going to show you.” And we’ve done things like that that have showed nothing’s impossible, but they always take their toll on a lot of people around you. I’ve had incredible support as well. Have a lot of people who are behind me, friends, family. My best friend is an illustrator who does all this stuff always last minute because that’s how I roll, because these ideas come and I feel like I’ve got to make them happen. But you get that validation of this tour, we’ve just been to Namibia. I hadn’t played properly, I haven’t toured properly in a couple of years because I have been having babies for the last couple of years. I’ve been making music at the same time but not toured as hectically as this last one. And at another show, somebody said the last time she saw me play six years ago in Namibia, I completely changed her life. She said she’d come out of a bad relationship and she didn’t know how she was going to get through. And then she saw that show and it just put her back on track and you don’t know that. And it’s like that’s the stuff that says, Okay, I feel that imposter syndrome, and I don’t know what this means and I don’t have any delusions of grandeur here, but something that I’m doing is important for somebody somewhere. And the fact of the matter is that I can process because I’m lucky, I get to process and make this music and its output and give it to somebody else who doesn’t know how to process because we are all different and we all have different skills. And while my skills are not financial and making money and looking after myself like that, I know how to process my emotions, but only through music and through the writing of it. And that’s a real gift that I can give to somebody else. This tour was that validation that I’m on the right path still. And these things are important no matter how much they cost and no matter how hard they are. And no matter how many sacrifices I have to make along the way. We do these things, and we’ve watched this album launch tonight and I don’t know if anybody’s going to come, but it’s important that we launch it. It’s important that we play the music and one of those tracks on the album is about two miscarriages that I had. And in writing about it, I was able to deal with those really, really big emotions. And that song, I’m hoping will heal somebody else somewhere because that’s the point. Lisa Linfield: 19:39 And I think that, that is where the magic happens. We can all be talented and we can all earn income for our talents, but the world is only changed when there was a third element, which is that you help to serve and change the lives of other people no matter what it is that you do, that somehow you are connected to this world out there, that guy who didn’t commit suicide, you have changed many, many, many people because he’s still with us. And those lives you will never meet. You’ll never look at the faces. It was wonderful that you got to look in his face, but you also have to trust that they’re so many out there whose lives you are changing and impacting through the music that you perform and you produce. And when you take on real issues, likeness characters like the desire to commit suicide, that meaning and purpose, you through song do change lots of lives. But it’s really tough. It’s a bit like these podcasts that I do is I can put them out there. I can see validation, like people are listening and someone in 62 different countries have listened to me, but I have no idea how I’m changing people’s lives and every now and then someone will provide feedback and say hey actually you did change their life. And that validation is the fuel and the energy we need that keeps us going to say actually it is worth it and that it is worth the cost and to have the faith that at some stage this whole thing is going to come back at least break even not cost, but still to generate the revenue and partner with people that do help to make sure that as you say, as musicians you also gotta feed the kids, put them through school, do all of that. You are absolutely on the right path. 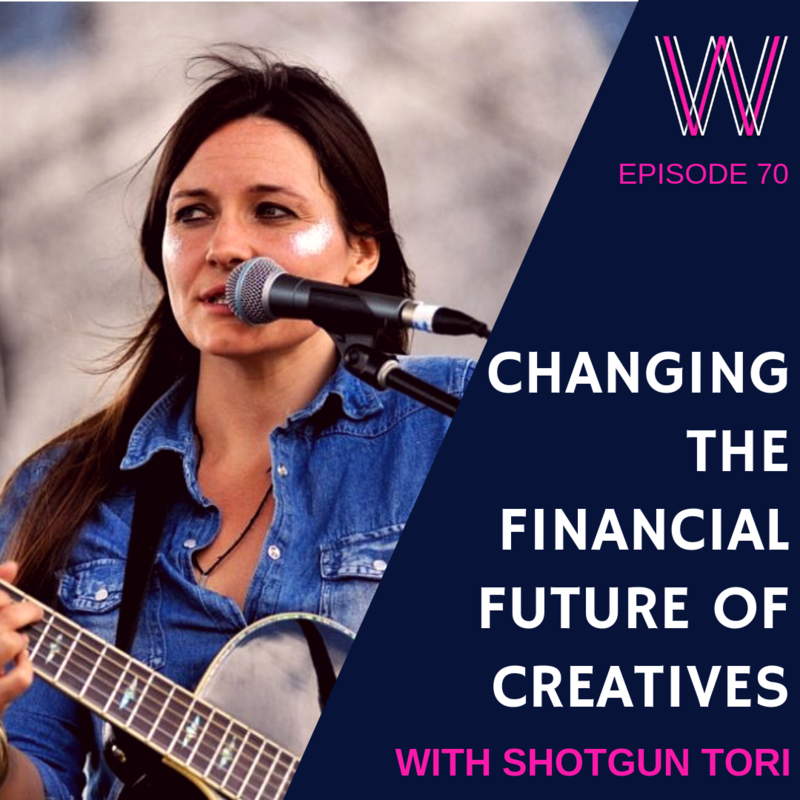 Shotgun Tori: 21:33 What’s interesting about you saying that is that in doing your course, your 30 day side hustle thing, when we started out doing it, a lot of what you explore is your reasons behind doing it in your brand and whatever you stand for. And a lot of the stuff I feel like I hadn’t even looked at ever. And so in doing that I began to understand why I do what I do and it’s only in the understanding of it that I got to see that reflected back at me. I’m so grateful. I mean don’t need the validation, but it’s been incredible for me. It has opened so many more windows in my mind about why I’m doing this and the importance of it. I feel like that opens another door for me to explore that I would never have otherwise. Lisa Linfield: 22:18 I think that’s part of the problem with all of us is that we don’t get clear about our own value proposition. For me, as I listened to you, I said that I think, well to me what you said about being able to process your emotions and then put them out there in a vulnerable way, that helps others to process their emotions. You’re noticing that you’re a partner through people’s lives and partner through their journey and that makes it so much more powerful than just seeing yourself as opposed to, tell folk songs to people who are willing to buy. Let’s talk about the side hustle. What was your greatest learning? Shotgun Tori: 22:57 It made me look at my reasons. That was the biggest learning from the whole thing at the moment, but also that there are other possibilities that I don’t have to rely on selling my time as a singer going out there and doing shows because my time is limited. I don’t have to rely on that. That there are other ways that I can make money in music at home, having two children, it’s tough to find the time to go out and every time I do a show I need babysitters and I’m relying on somebody all the time to help me, which is so hard. I mean I’m so independent, I want to just be able to do everything by myself, but the minute you have children and you want to have a career at all. You don’t get to do that anymore. You have to rely on someone. I suppose that’s another learning in itself is learning to ask for help, I’m still figuring that out. I’m still figuring out how I’m going to do this, but I know I can do it and I suppose that’s the first step and I’m figuring out the technical aspects of it. I’m actually finding that the hardest is how to build those websites and it doesn’t make sense. All the technical stuff yet, but you go into such great detail that I know that I just need to find the time to follow each video individually so that I can do it step by step. I mean you do it step by step in the videos. Lisa Linfield: 24:16 For me, that’s one of my great hopes in life is that I see so much talent wasted in corporates and it’s not that it’s wasted. We all have to earn money and we all have to feed our kids and put them through school and things like that. But what I’m hoping in the side hustle is that people who have great talents, who are serving other people find enough support not only of the actual technology, but also in terms of opening the eyes of how many different ways there are to market. You might only have 300 people to support you in Jo’burg, but this world is huge and the amount of people who like folk everywhere throughout the world, you just have to access them and it can change your life from it being a side hustle to being something that you can sustain your family and create those different sources of income. Not only selling your time, but also selling different products, different merchandise, different things that enable you to then grow it over time to become something that is able to give you a wonderful income and a wonderful life. What does the future look like for Shotgun Tori? Shotgun Tori: 25:29 I’m hoping to take the music international and I think this year to do little launch tours around the country, small ones over weekends when the band can take time off work. And then I’m hoping to properly go and do some big fun, exciting international tours and see the world like that. I haven’t figured it out yet. It’s so big and anybody would tell me impossible, but it’s just improbable. Shotgun Tori: 26:03 That’s the big thing for me. I want to be able to do this and to take it to people, but to play in different exciting spaces and places. Bring my family with me and also show that it’s possible to follow your dreams. I wrote a song that was on my last album called Wooden Decks and it’s all about retiring from the things that don’t give you joy from the air conditioned offices and making choices for your life that bring you joy. And I’ve heard stories of people saying, that song made them give up their jobs and go traveling. And I mean I’m not saying give up your jobs because that’s not a great idea if you don’t have a backup. But life is so short and there’s so much out there that we haven’t seen that we can choose to be safe. And I suppose that’s the side that I maybe don’t choose enough of. It needs to be some kind of a balance, but there’s just so much out there to make you feel alive. And I want more of those experiences that make me feel alive and that take the music to other people so that they can remember to feel alive as well and somehow figure out my finances so that I can keep doing it. Lisa Linfield: 27:18 That’s wonderful. I mean for me that encapsulates the entire thing about side hustle, is doing things that you love and are passionate about, that enable you to do more things that you love and are passionate about. I mean, I always say that I am working for a side hustle that when I hit 60 I will get paid to go and speak at amazing places, in which case someone is paying for me to go and see the world. I think all of the academic tourist, I want to be academic tourist. I want to go and speak and see the world and I don’t have to make an enormous amount of money from it. It just needs to pay for that wonderful thing of being able to inspire other people in nice, beautiful cities. Lisa Linfield: 27:59 Absolutely. And this is the whole thing. It’s what I say to people about the side hustle is, you can’t wait till you retire at 60 to do the things you want to do. You don’t have enough energy and also takes time to build these things. It takes time for you to get the niche of focusing, loving audiences around the world. It takes time, but with consistency and with the new social media channels available to you and the new ways to communicate with the world, it just does happen. Nothing is overnight. It just takes consistency. Seven, eight, nine, 10 years of putting yourself out there and then it will turn and when it turns, you’re gonna have this amazing back catalog of music. 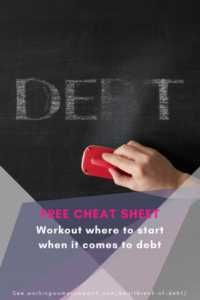 You’re going to have this amazing stuff that you’ve invested and you switch it and toiled and all that, but then it gets to pay for you to go and travel around the world and that whole thing of, is it possible? Is it probable? It’s something we chat about in the side hustle where we talk about the fact that most people focus on how probable it is that you can do that. And it’s not often that probable. Not everybody’s going to get paid to go and tour around the world as a folk singer. But is it possible to have people being able to do it once before, has someone in seminar or worst situations ever done it? Lisa Linfield: 29:24 Why not you? Shotgun Tori: 29:25 Yeah. Nothing is impossible that somebody somewhere has done. Lisa Linfield: 29:28 Absolutely. And you just got to keep going and keep pushing it. If you were to stop making music now, there would be so many people who through your music wouldn’t have the healing that they have. And that’s a great thing about doing your passion, is it not only does it fulfill you, but does so other people. How do people get a hold of you? Shotgun Tori: 29:57 www.shotguntori.com or on Facebook, facebook.com/shotguntori or on Instagram at shotguntori is S-H-O-T-G-U-N-T-O-R-I. Lisa Linfield: 30:10 Thank you for joining us today and for the amazing music that you make. And for touching the lives of others and for doing it when everyone else tells you that you shouldn’t because you’ve changed the lives of many. And that is a gift that you give the Lord. Shotgun Tori: 30:24 Thank you. Lisa Linfield: 30:26 That was shotgun Tori. Oh my goodness. What a wonderful interview. And so insightful and human. And I guess that’s what I love about my job and interviewing people is that every single one of us has so many different things that are going on in our lives and discovering our purpose and making both our passion and the realities of school fees exist together is something that all of us struggle with. 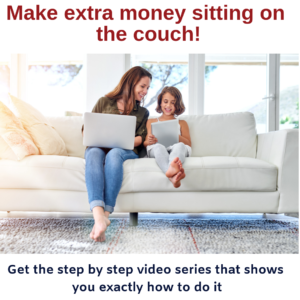 For those of you who are wanting to take some steps to supplement your income so that you can focus on your passion, I have done a great, not only article but also a free video series that you can look at and it shows you exactly how to go and make money while sitting on the couch on the Internet. And in addition, I also am going to be relaunching the 30 day side hustle at the beginning of May. If you want to go onto our website and sign up to be on the waiting list for that, I’d love you to do that. And I will then email you closer to the time with all the signup details. There is no reason why all of us should not do what we are put on this earth to do. That we can change the lives like Tori did of humans to even stop them from committing suicide or just meet them in their place of need. Each one of us has a God given talent, and it is our joy and our passion that we should share that talent to change the lives of others. Really focus on your passion because that’s where your joy will lie. Take care. Have a great week. I’m Lisa Linfield and this is Working Women’s Wealth.